Dili nestles at the base of surrounding hills which are lush and green in the rainy season, revealing terracotta coloured earth in the dry. The city faces the ocean and is linked by a beachfront road and the waterfront with government buildings, Motael Church, a lighthouse and embassies. There is a pedestrian walkway along the central harbour, statues and small municipal gardens in which to relax shaded by large banyan trees. Vendors sell local crafts, tropical fruits, fresh seafood and refreshing green coconut juice. In the weekends and late afternoon you can watch an informal game of football or beach volley ball. Due to its compactness, Dili is relatively easy to get around on foot and by taxi. It is a great place to recharge in between adventures in the districts. It is a pleasant and laid-back city with a good range of accommodation, restaurants, bars, shopping and attractions. 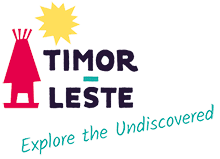 The Timorese Resistance Archive and Museum is definitely worth a visit. Many of the main restaurants and bars are located along the beachfront road (Avenida de Portugal) and out towards Areia Branca (white sands). The most popular of the city’s beaches, Areia Branca has a number of beachside eateries and bars perfect for watching the sun set behind the island of Alor. Further on from Areia Branca is the statue of Cristo Rei perched on Cape Fatucama – Dili’s most famous landmark. Excellent views towards the city and over to Back Beach reward those climbing to the top. At the western entrance to Dili on a headland near the Tasi Tolu Lakes is another large bronze statue celebrating Pope Paul II. Visiting Dare up in the hills is also recommended with its WWII memorial and views across the city and out to Atauro Island.